Sony has engineered a valiant attempt at the ultimate vehicle for Internet TV, but Google TV’s persistent potholes provide a bumpy ride. Sony GT1 series information: This review is based on our hands-on experience with the 46-inch NSX-46GT1 TV. 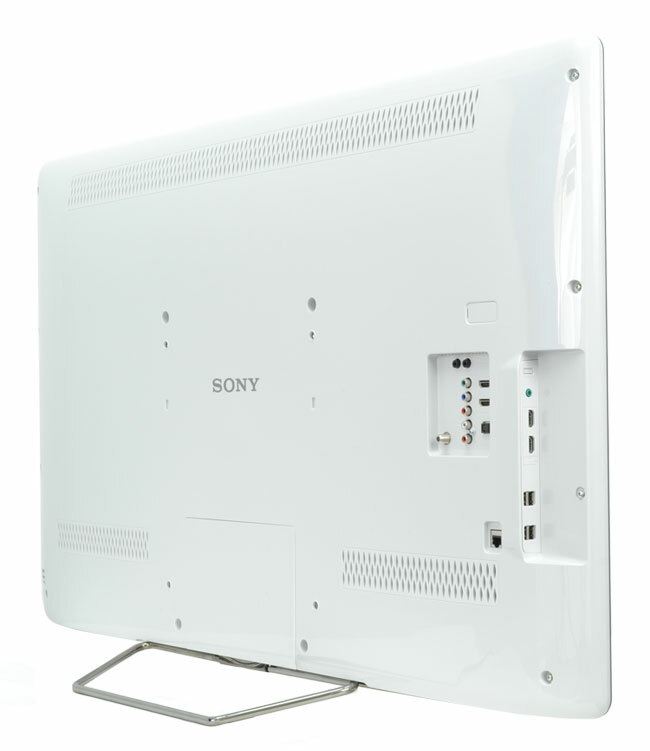 However, our observations also apply to the two other sizes in Sony’s GT1 series of Internet TVs, including the 40-inch NSX-40GT1 and 32-inch NSX-32GT1. According to Sony, the three sets have identical specifications (save dimensions and weight) and should offer similar performance. If every HDMI cable on earth were suddenly shredded to copper threads and you could never connect another device to your TV again, Sony’s Internet TVs would be the ones to own. Simply put, no other connected television packs this much content into one clean, self-contained unit. Though the lack of cables and all-in-one approach eases setup and use, Google TV’s rough edges will still make us warn non-geeks away from this otherwise sharp connected TV for the time being, but patient tech enthusiasts will find a bevy of content and possibilities built right in. Take an HDTV and a Google TV set-top box, smash them together, and you most likely have a broken TV and a broken set top box. (Not where you thought we were going with that, huh?) No, Sony’s Internet TV goes a level deeper than the Neanderthal mash up you might expect by painstakingly integrating every aspect of a television’s function into the Google TV platform. The glowing logo below the screen might as well read Google. Sony makes the Internet TV in 24-, 32-, 40- and 46-inch display sizes, but fundamentally, they all share the same Google TV core features plastered across a 1080p LCD screen. Like all Google TV devices, that means access to streaming staples like Netflix, Pandora and Pandora, local access to anything available via DLNA or UPnP, and a full Web browser with Flash for just about anything else you can imagine. It also integrates with over-the-air and cable broadcasts, allowing you to watch live TV as you peruse the Web offerings. Beneath the surface, both Sony’s Internet TVs and Logitech’s Revue are powered by a 1.2GHz Intel Atom processor that’s not far off from what you might find in a netbook. 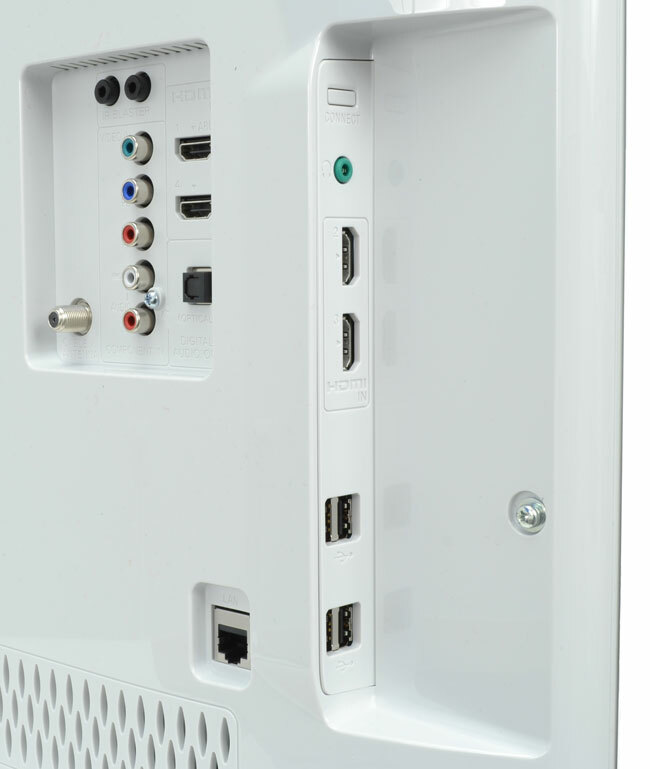 The set offers both Wi-Fi and a standard Ethernet jack for Internet connectivity and network access. On the more pedestrian side, Sony’s Internet TVs offers the usual array of Sony features including 1080p upscaling, MPEG noise reduction, media playback via USB, and Eco Settings for lower power consumption. In an apparent concession to the system’s all-in-one, future-leaning design, Sony goes light on traditional connectivity, offering analog RCA, component video, digital optical audio and headphone outputs, but only one of each, and the component and RCA video inputs both share the same audio inputs, so you can use one or the other. Notably, there’s no VGA input for old-school notebooks. However, geeks will be happy to find four HDMI inputs (two rear, two side) and an impressive four USB inputs (all four on the side for easy access). Sony’s Internet TV is as much an appliance as television, and Sony gives that self-contained philosophy a nod in the style. It’s one of the few big-screen TVs we’ve ever seen to come in white, an eggshell shade that wouldn’t feel out of place in the kitchen. You’ll have to peek behind the edge-to-edge glass on the front to even see it, though, which has been blacked out around the edges for a play on the same “monolithic” look that appears on high-end Sonys like the NX8 series. Then there’s that stand. For all the over-engineering put into TV stands, from Samsung’s liquid-inspired teardrops to Sony’s own glass-and-aluminum marvels, the bare metal bar that supports Sony’s Google TV is certainly… a departure. It’s essentially an oversized paperclip. Visually, it jives with the whole “appliance” look, but if an oversized paperclip holding up a TV gives you pause, it should. The 46-pound Internet TV sits on the metal stand like a fat kid on a railing, wobbling with the slightest provocation. We assume the main goal of the stand and overall design is to appeal to a younger, more techie audience. And it scores in that regard. Despite the fact that it essentially houses a mini computer, Sony has kept the NSX-46GT1 to just 2.25 inches deep, and there’s not a fan to be found. Top and bottom perforations in the plastic chassis seem to radiate the heat away just fine. With no cables to connect, setting up Sony’s Internet TV is literally as simple as plugging in the power cord and turning it on. After typing in your Wi-Fi password (or connecting an Ethernet cable) it will automatically download the latest version of Google TV and walk you through setup, which includes simple steps like letting it scan for TV stations. A total of seven steps — and maybe 5 minutes — later, you’re up and ready to roll.